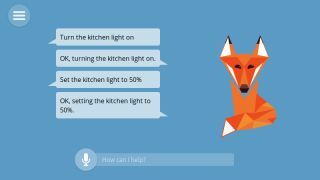 Mozilla's Things Gateway has received a major update, with new additions including interactive floorplans, customizable devices, and an experimental smart assistant. Things is a platform that lets you build your own smart home system and control it via a web interface using a Raspberry Pi – solving the problem of trying to get different smart home ecosystems (such as Google Home and Amazon Echo) to interact with one another. With Things Gateway, you connect your smart devices to the web and give each one a URL, then control them all using a single, simple web interface. The Things assistant lets you give commands in natural language (by typing or speaking), and presents responses in a chat style interface. For example, if you tell the assistant to turn the dining room light on, it will respond to confirm that it's been done. It's still in an experimental stage and won't be competing with Alexa or Cortana any time soon, but it looks promising. Things Gateway's interactive floorplans let you see the status of all your devices at a glance and control them with a single click. You can also choose custom icons to represent different devices, and create a custom web interface for a specific device (ideal for complex or unusual devices like robots). Things Gateway gives you more control over devices thanks to a new 'capabilities' system too. For a full list of all the changes and updates, check out Mozilla's blog. Things Gateway 0.5 is now available to download free, and Mozilla has published a full guide explaining how to get started setting up your custom smart home using a Raspberry Pi 3.0.